You are here: Home » GENRE » Fantasy » Son Of Zorn (new fantasy comedy TV series trailer). Featuring actor Jason Sudeikis (aka Horrible Bosses etc. 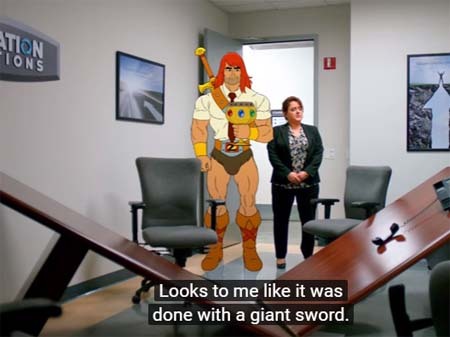 ), Son Of Zorn is a silly new hybrid live-action/animated comedy fox about an animated warrior from a faraway island in the Pacific Ocean – where everything and everyone is animated – who returns to Orange County, CA, to win back his live-action ex-wife and teenage son. Think of Who Framed Roger Rabbit crossed with He-Man and Friends. This TV series could be cult-big in the near future. « Europe At Midnight by Dave Hutchinson (book review).